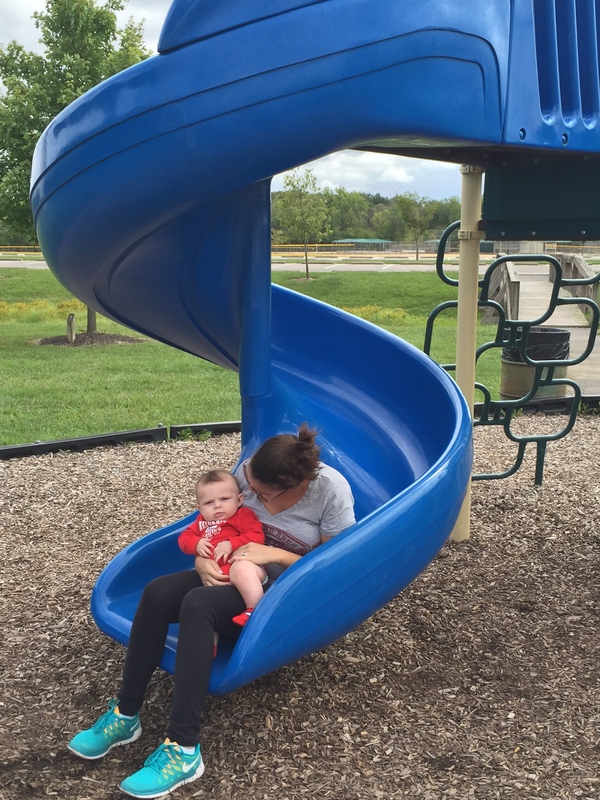 Today we discovered another park in Grove City to add to our favorites list! 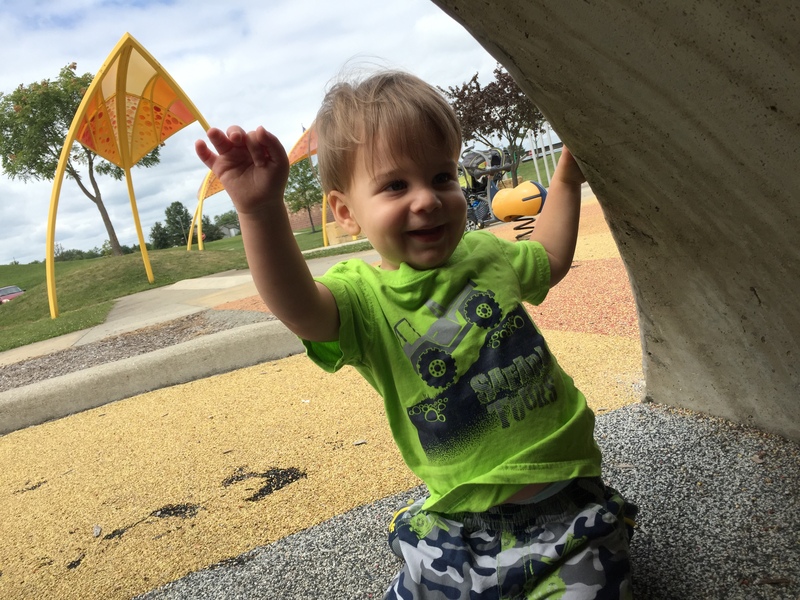 Fryer Park has so much to offer and we enjoyed every minute of our time there. 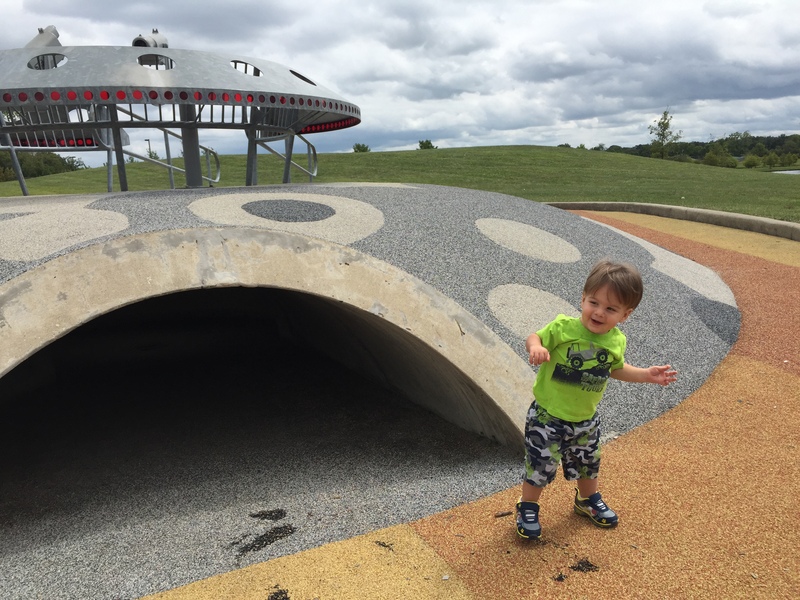 Mikey loved the Discovery Frontier which has multiple play areas including a music section, a space theme play area and even a rock wall! 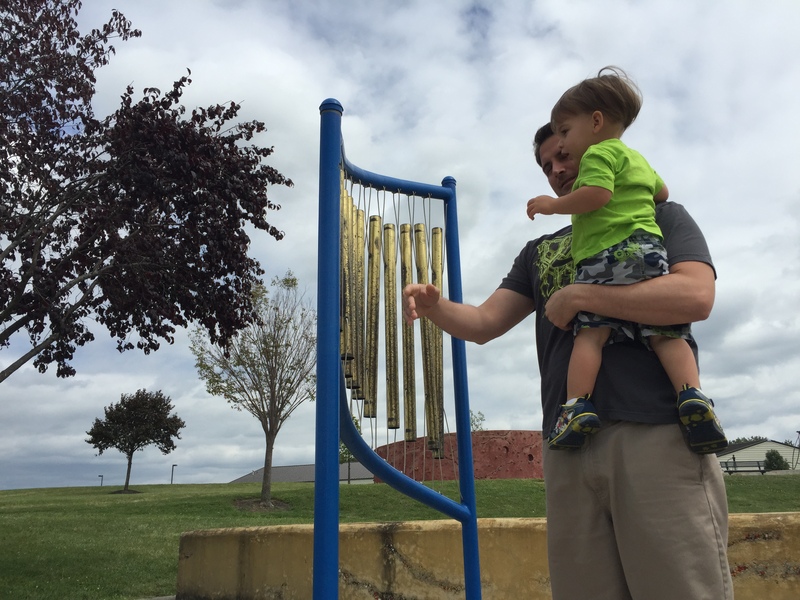 After playing for awhile we decided to take a stroll around Rotary Lake, located in the middle of the park. 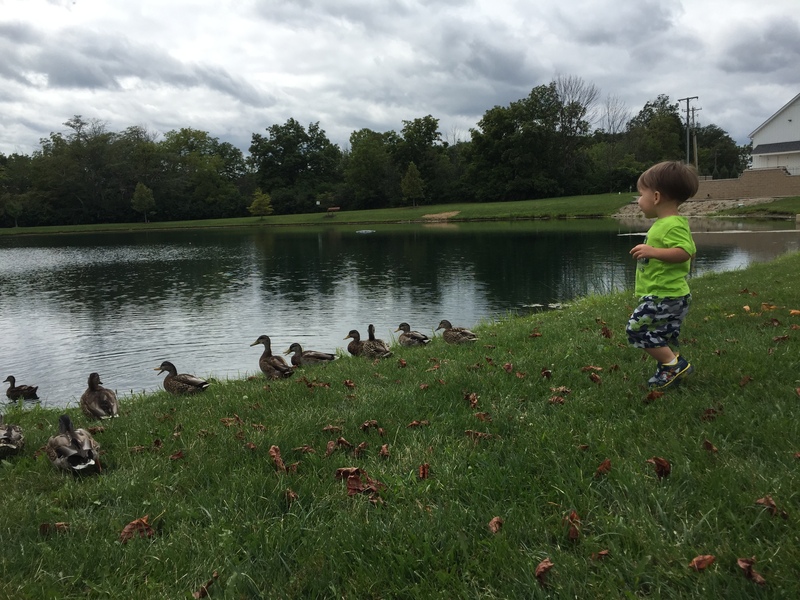 Mikey immediately felt the need to check out the ducks and enjoyed chasing them and waving to them. 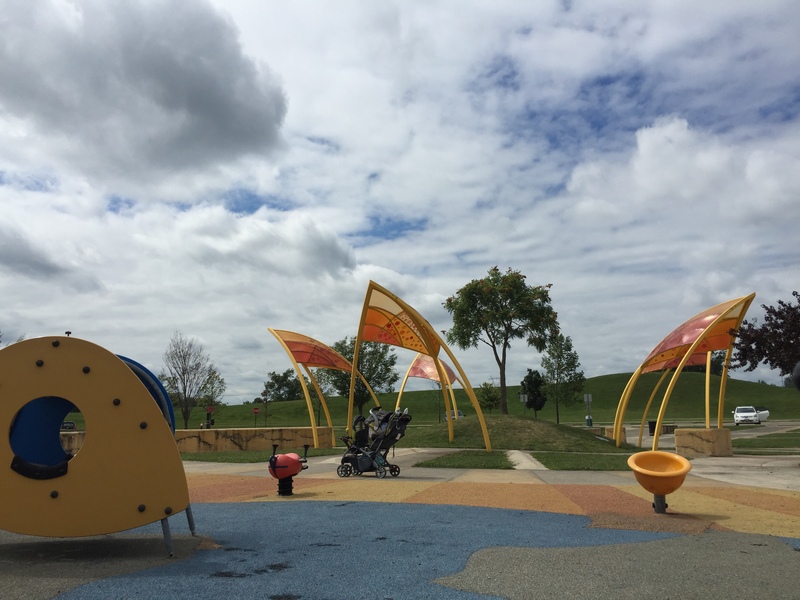 On the opposite side of the lake are multiple baseball diamonds and a smaller playground. 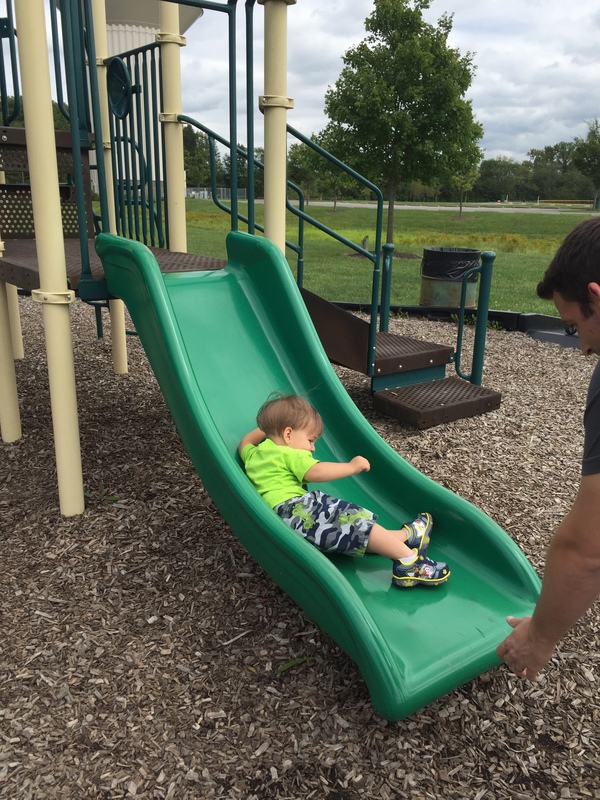 Mikey couldn’t wait to try out the slides and even went down the bigger slide all by himself. 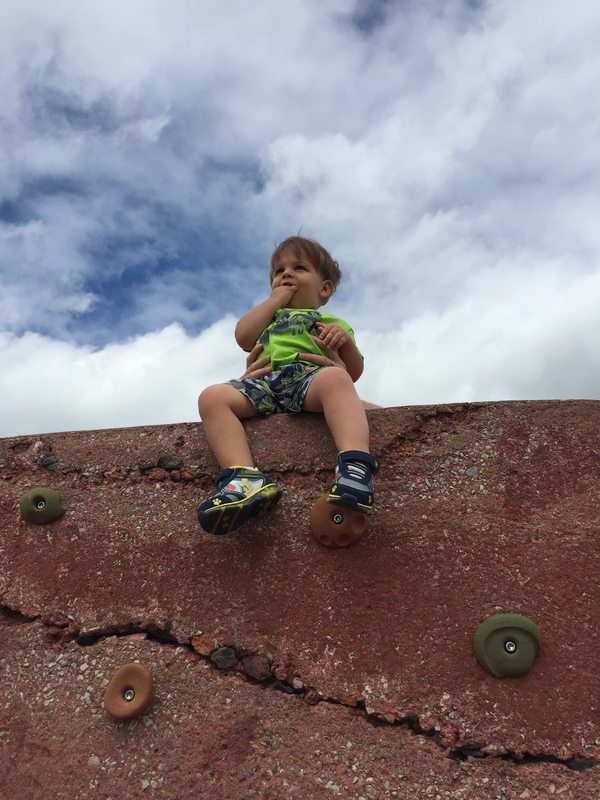 At 18 months this kid still has little fear and I love it! 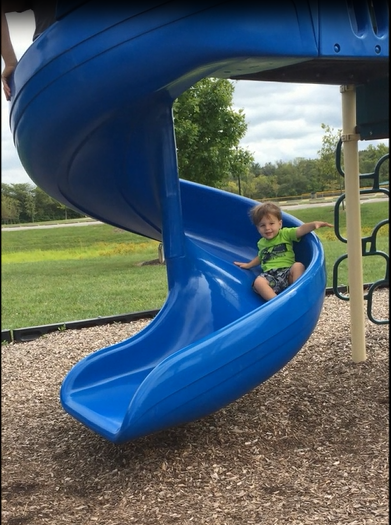 Tucker also tried out the big blue slide with a little assistance from me. He wasn’t nearly as impressed as Mike was. 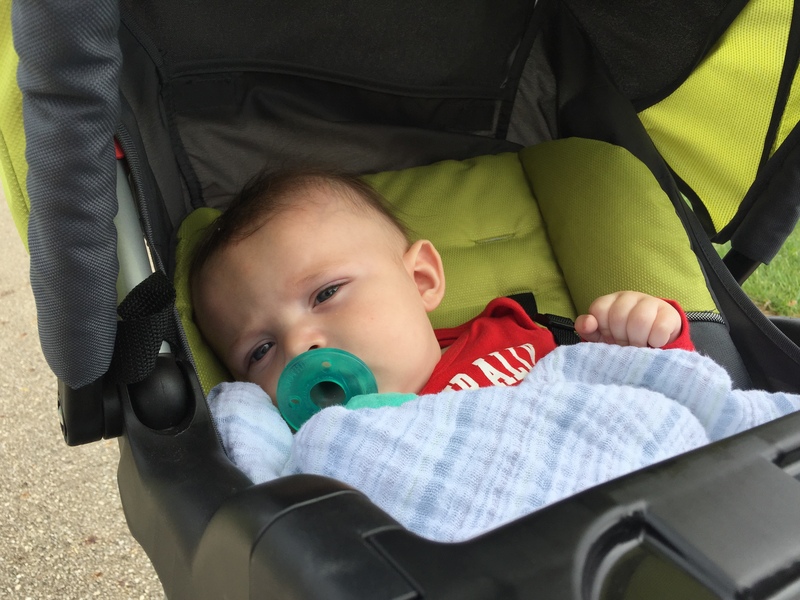 He did enjoy taking in the sights from the comfort of his stroller. We will be bringing the boys back with some fishing poles soon!